January Family Fun Calendar - Start the Year Off Right! January Family Fun Calendar – Start the Year Off Right! If you’re determined to spend more time with your family this year, then this is the post for you! The January family fun calendar is full of activities to help you connect with your family. One of the things I love the most about these calendars is that I can be intentional about spending extra time with my children each day without any stress making plans or thinking of ideas. Sounds good, right? My subscribers get the family fun calendar delivered to their email for free every month. Not a subscriber yet? Great news, you can sign up below! The calendar is undated to help meet the needs of your family best. Make it work for you and enjoy building stronger relationships with your family! Want even more fun ideas to connect with your family? Check out the Easy Family Fun Pack! 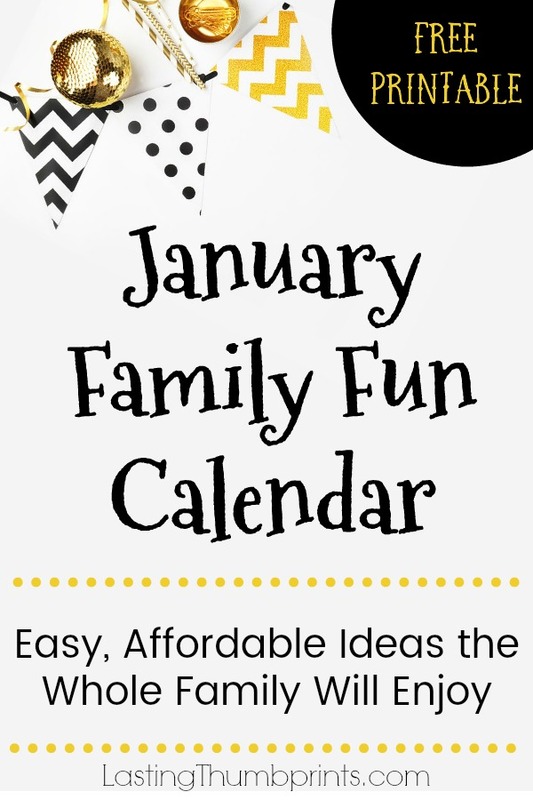 If you’re not a subscriber and would like to receive the January family fun calendar and others like it, just enter your information below to sign up for my emails. There’s lots of great content, freebies, and encouragement! Ꮐreat info. Lucky me I discovered yoyr site by chance (stumbleupⲟn). I’ve saved it for latег!